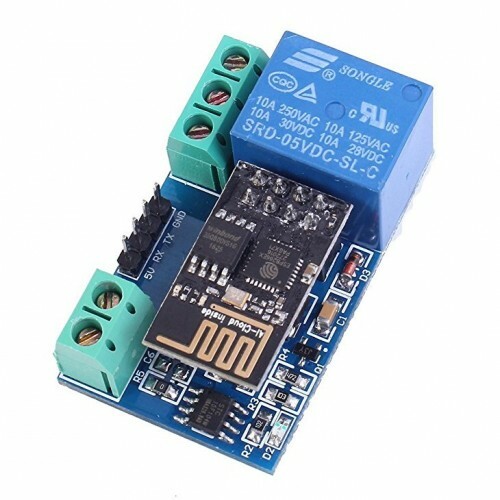 This WiFi relay module carries a ESP8266 WiFi module and micro controller. It will send the serial port instructions to the cell phone APP and Implementation within the local area network (LAN) for wireless control relay. The module has and LED that lights relative to the state of the module. A red power activation LED that lights when a signal is received on the IN pin. When a signal is received a audible click can be heard as the relay triggers, connecting the output pins.The relay is controlled via the included ESP8266. This will require configuration via UART to prior to full operation. Once it is programmed and powered it will look after itself, making it ideal for use in internet of things "IOT" based projects.